How About Reimbursing The Commuter? We’re delighted to learn that financial reimbursement is being made by the feds to some local non-profits whose resources have been stretched because of the closure of Devil’s Slide. That’s great–but, as usual, the commuter doesn’t seem to count. (1) Never have gas prices been so high. (2) A car/truck is one of the most expensive items a family or individual owns. (3) There’s wear and tear on the vehicle. Repairs to be made. (5) Stress leading to illness (A well known county cardiologist, with homes on both sides of the hill, says that sitting in traffic on Hwy92 , is one of the huge factors that can lead to heart attacks). And how do you measure the significant cost on the family? Don’t forget not everything is measured in dollars. I’d just like to see one time– the worn-out, beat-up, poor sucker who is stuck on Hwy 92 for torturous hours every day–be first on the list of assistance. 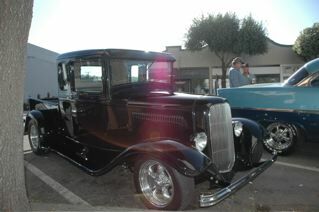 (Photo taken in front of Half Moon Bay Bakery, Main Street).